Our Project Management Tool (Q5) is developed in collaboration with our business partner NJKI. The software is based on robust Microsoft SQL Server technology, and has an intuitive and informative user interface. Its client-server architecture caters for a virtually unlimited number of concurrent users without notable performance degradation, and it is delivered either as an in-house installation or as a cloud-based solution. The Project Management Tool provides an easy and quick overview of the organisation's capacity, manpower, delivery times, etc. It allows project management staff to allocate adequately skilled resources to projects with a few mouse clicks. In addition to resource booking the tool also keeps track of the individual projects' phases, milestones, and progress. Having all projects in an organisation in the same database offers obvious advantages: It prevents double-booking of resources, it provides all internal stakeholders with an overview of individual projects' deliverables and status, plus it allows the organisation to respond in a timely way to changes, challenges, and risks associated with projects. Our Project Management Tool caters for user needs on all levels of the organisation – from executive management to shop floor staff, and from project management to the individual project participant. The tool comes with an integrated text messaging (SMS) module that can be set up to immediately notify affected staff members of new/changed assignments, deliverables, deadlines, etc. Due to its standardised architecture, the Project Management Tool is easily integrated with other in-house IT systems (e.g. HR, payroll, and ERP systems) in order to ensure that staff skills, resource bookings, and other project-related data need only be managed in one system. This means that for instance new projects created in an ERP system (e.g. MS-Dynamics C5/NAV/AX, SAP, or Oracle) can be transferred automatically to the Project Management Tool for planning and assignment of resources. Likewise, hours worked on projects, which are booked in the Project Management Tool by employees, can be transferred to a payroll system. Our Project Management Tool also integrates management of staff skills, competences, certificates, car booking, and a time stamp module. Working with our other solutions is an obvious advantage for organisations that seek to streamline e.g. planning, skill management, and tracking of actual vs. planned time. 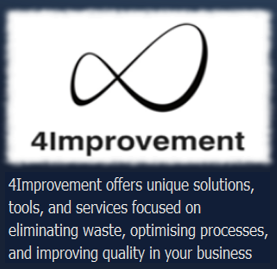 Using our Skill Management Tool, Loss Management Tool, and Quality Management Tool for registration of losses related to project activities, clients can start working with Continuous Improvement in their organisations. Our software will run in virtually any contemporary IT environment. Before installation we analyse the client's organisation and processes, and we configure the Project Management Tool in accordance with the client's preferences. Ease of use has been a top priority in the development of our Project Management Tool. It is basically every bit as easy to use as a computer-based calendar. For that reason, there is no need for extensive and expensive user training. The intuitive and user-friendly user interface makes liberal use of e.g. task progress bars, colour coding, and informative icons. These very visual elements provide for excellent user acceptance. The client application has a very modest footprint and can be installed on any Windows PC. Users can have either shared or personal accounts, depending on their roles and access rights. For instance, a team of fitters could have a shared account for booking of hours worked on projects, while a project manager would typically have a personal account for management of project data. - Replacement of manual preparation of reports, etc.